New to doing driveway maintenance yourself, or have a few questions? Call our friendly staff at 1-866-399-5562 for advice you can trust. Crack filling is an integral part of asphalt maintenance, as it prevents further asphalt deterioration and water penetration. 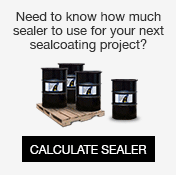 How do you measure cracks and calculate how much crack filler you need for your crack repairs? 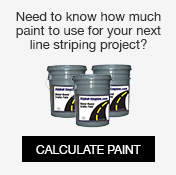 Here are some quick tips to help you use our Crack Fill Calculator. The most important thing about cracks is how long they are, as this will determine the linear feet of your crack repair. With hot pour crack fixes, you should always fill your crack with sand until it reaches ½” depth. This will give the rubberized crack filler a solid base to lie on. Allowing the filler to cover a crack deeper than ½” will make it sink in. You may be tempted to add more crack filler to fill in the gap, but it will then take much longer to dry and cure. The width of the crack should be 1-2” wide. If you have a crack wider than that, you should look at a patching material, such as the AK Cold Patch. Each box of AK Hot Pour Crack Filler provides 200 linear feet of coverage, so it’s easy to figure out how many boxes of crack filler you will need for your crack repair jobs. Many contractors charge $1 a linear foot for crack repairs. While you do need to purchase equipment to heat and apply the rubberized filler (we recommend the RY10 2-in-1 melter and applicator), crack filling is a much needed service for homeowners, parking lot owners, institutions and airports. With each box of crack filler you use, you can make from $170 up to $180 in profit. To make crack repairs last the longest, it’s best to sealcoat over the entire asphalt surface. This will generate even more revenue!